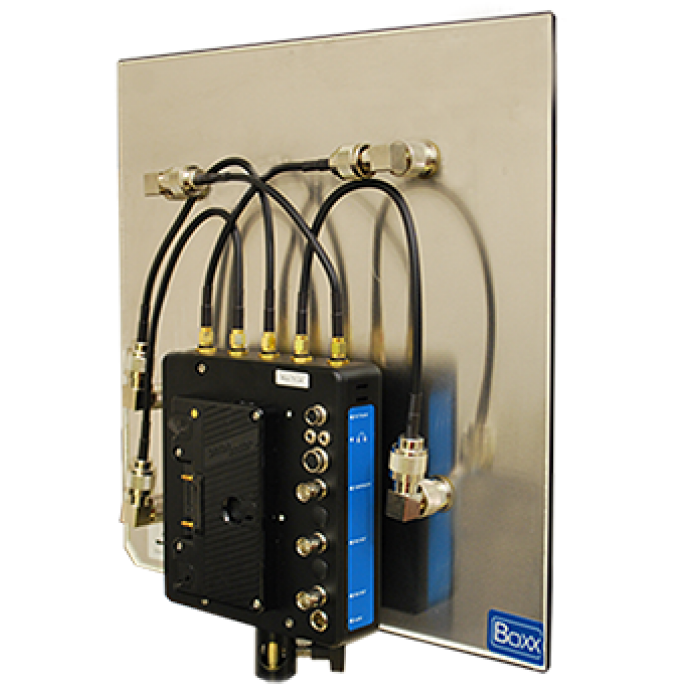 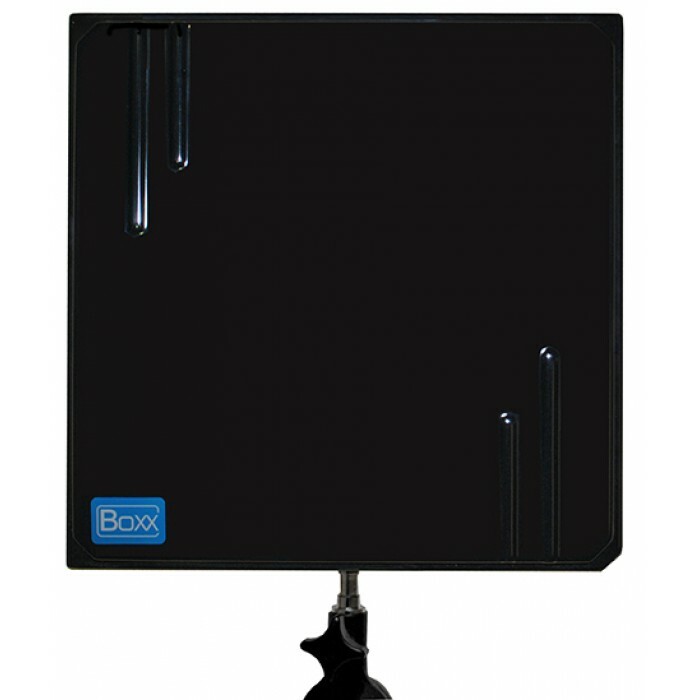 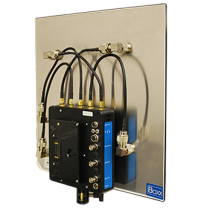 The 5-way Panel antenna is a 3 x 19dBi & 2 x 14dBi antenna in single panel housing, specifically designed for use with the Boxx Meridian Portable Receiver and the Boxx Atom Receiver. This antenna array has been developed to increase range and stability by using 5 seperate antenna elements, each with their individual polarisation and gain pattern. 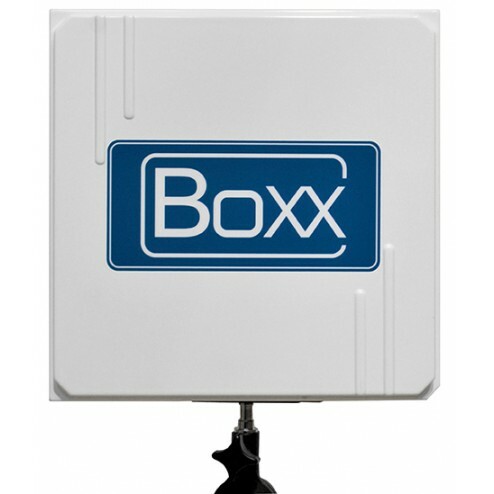 The antenna connects to the receiver via an V-lok or Anton Bauer battery mount.